Here is William Engdahl’s superb statement from the New Eastern Outlook (also published on GR), October 15, 2015. It is clear that the neoconservatives are not sufficiently realistic to accept this change in the power balance and will resist it to the point of war. Russia and its President, Vladimir Putin, a little more than a year ago, in July 2014 were the focus of attention in Europe and North America, accused, without a shred of forensic evidence, of shooting down an unarmed civilian Malaysian airliner over eastern Ukraine. The Russians were deemed out to restore the Soviet Union with their agreement to the popular referendum of Crimean citizens to annex into the Russian Federation and not Ukraine. Western sanctions were being thrown at Russia by both Washington and the EU. People spoke of a new Cold War. Today the picture is changing, and profoundly. It is Washington that is on the defensive, exposed for the criminal actions it has been doing in Syria and across the Middle East, including creating the recent asylum crisis in Germany and large parts of the EU. As a student of international politics and economics for most of my adult life, I must say the emotional restraint that Vladimir Putin and the Russian government have shown against tasteless ad hominem attacks, from people such as Hillary Clinton who likened Putin to Adolf Hitler, is remarkable. But more than restraint is required to bring our world from the brink or some might say, the onset of a World War III. Brilliant and directed action is essential. Here something extraordinary has taken place in the very few days since President Vladimir Putin’s September 28, UNGA speech in New York. What Putin said to the UN General Assembly must be noted to put what he and Russia did in the days immediately following into clear focus. First of all he made clear what the international law behind the UN Charter means and that Russia is scrupulously abiding by the Charter in actions in Syria. Russia, unlike the US, has been formally asked by the legitimate Syrian government to aid its war against terror. Putin followed this with a clear message to Washington and NATO governments on the subject of national sovereignty, something anathema to many who embrace the Nirvana supposed to come from globalization, homogenization of all to one level: “What is the meaning of state sovereignty, the term which has been mentioned by our colleagues here?” Putin rhetorically asked. Those few words succinctly point to what is fundamentally wrong in the international order today. Nations, above all the one proclaiming herself Sole Superpower, Infallible Hegemon, the USA, have arrogantly moved after the collapse of the main adversary, the Soviet Union in 1990, to create what can only be called a global totalitarian empire, what G.H.W. Bush in his September 11, 1991 address to Congress called a New World Order. I believe with conviction that borders do matter, that respect for different cultures, different historical experiences is essential in a world of peace. That is as much true with nations as with individual human beings. We seem to have forgotten that simple notion amid all the wars of the past decades. Vladimir Putin reminds us. Then the Russian president goes to the heart of the matter. He lays bare the true activities of the Obama Administration in Syria and the Middle East in arming and training “moderate” Islamist terrorists to attack Washington’s bête noire, Syria’s duly-elected and recently re-elected President, Bashar al Assad. And what Putin is doing . . .
Now come the howls of protest from neo-con warhawks, like the ever-ready-for-war Senator John McCain, chairman of the NGO International Republican Institute of the democratic revolution exporting US-backed NGO, National Endowment for Democracy. Or we hear flaccid protests from President Obama. This is because Washington finds itself deeply exposed to the light of world scrutiny for backing terrorists in Syria against a duly-elected state leader and government. The US warhawks accuse Russia of hitting “the moderate opposition” or civilians. Emperor’s New Clothes . . .
What do I mean? In the first four days of precision bombing of select sites in Syria Russian advanced fighter jets firing Kh-29L air-to-surface laser-guided missiles that strike targets with a precision less than two meters, managed to destroy key ISIS command centers, munitions depots and vital infrastructure. According to the Russian Defense Ministry official reports, with photos, Su-34 bombers attacked an ISIS special training camp and munition depot near Al-Tabqa, Ar-Raqqah province,” a critical ISIS outpost captured in August, 2014 after bitter battles. “As a result of explosion of the munition depot, the terrorist training camp was completely destroyed,” the Russian Defense Ministry spokesman stated. Russian Su-25 jets have also attacked training camp of the Islamic State in the Syrian Idlib, destroying a workshop for explosive belt production. Moscow states its air force has “engaged 3 munition, fuel and armament depots of the illegal armed groups. KAB-500 aviation bombs detonated the munition and armament,” and they used BETAB-500 concrete-piercing bombs to destroy four command posts of the ISIS armed groups. The facilities with terrorists are completely destroyed,” the Moscow spokesman added. Russia’s aviation conducted 20 flights and carried out 10 airstrikes against facilities of the Islamic State (ISIL) terrorist group in the past 24 hours. Then Moscow announced they had also hit key outposts of other terror groups such as the Al Qaeda-franchise, Al Nusra Front. In late September it was reported that Major Anas Obaid a.k.a. Abu Zayd, on completing his CIA training in Turkey, defected from the train-and-equip program to join Jabhat al-Nusra (Al Qaeda in Syria) immediately on entering Syria. Incredibly, US officials admit that Washington does not track or exercise command-and-control of its Jihadist proxies once they enter Syria. Abu Zayd’s defection after being trained in advanced warfare techniques by the US, is typical. Other elements of the New Syrian Forces directly handed all their weapons to Nusra upon entering Syrian territory at the town of Atareb at the end of September. These latest “moderate” defections to join Al Qaeda’s Al-Nusra Front affiliate in Syria come less than two weeks after Gen. Lloyd Austin III, head of the US “war against ISIS,” during a Senate Armed Services Committee hearing on Syria, admitted that the US military program that intended produce 5,400 trained fighters a year has so far only resulted in “four or five” who still remain on the ground and active in combat. The rest have all joined ISIS or Al Nusra Front of Al Qaeda, the US-backed “moderate opposition” to ISIL. Curiously, until last week, ISIS has only expanded its web of power in Syria and Iraq under US bombings. Now, within 72 hours, the Russian military, launching only 60 bombing runs in 72 hours, hitting more than 50 ISIS targets, has brought the ISIS combatants into what the Russian Defense Ministry spokesman described as a state of “panic” where more than 600 have deserted. And, according to Moscow, the fight is only beginning, expected, they say to last three to four months. The Obama Administration has been training terrorists of Al Qaeda/Al Nusra, allegedly to fight ISIS, much like the disgraced General David Petraeus did in Iraq and Afghanistan along with Obama’s special ISIS coordinator, the just-resigned General John Allen. The US-trained “moderate” terrorists were being readied, it’s now clear to all the world, in reality, to battle Assad and open the way for a Muslim Brotherhood takeover of Syria and a real plunge into darkness for the world if that were to succeed. Now, with the truth in the open, exposed by the remarkable successes of a handful of Russian fighter jets in four days against ISIS, accomplishing more than the US “anti-ISIS coalition” in more than one year, it is clear to the world Washington has been playing a dirty double game. Now that hypocritical Obama Administration mask has been blown off with the precision hit of a Russian laser-guided Kh-29L missile. 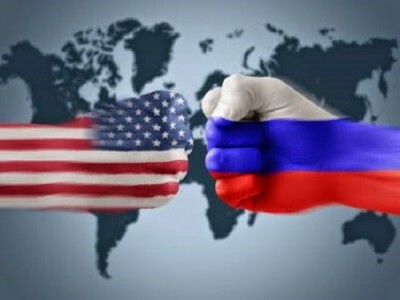 As German and other EU governments have admitted, much to the strong objection of Washington, Putin has demonstrated that Russia is the essential part of any peaceful resolution of the Syria war. That in turn has a huge bearing on the current asylum-seeker crisis in Germany and other parts of the EU. It also has a huge bearing on prospects for world peace. The Norwegian Parliament’s Nobel Peace Prize Committee, rather than consider John Kerry, might consider Vladimir Putin and Russian Defense Minister, Sergey Shoygu, for the prize.